otel Maya is so close, yet feels so far away. 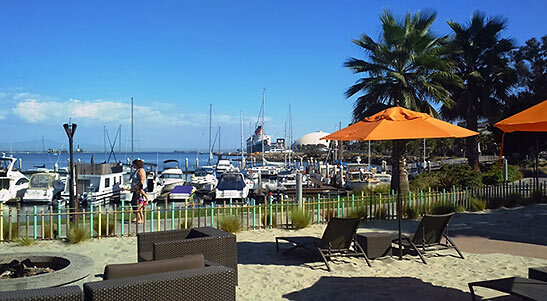 Located on the marina in Long Beach, the property reminds me of a hip, Miami Beach location. I say this not just because the hotel was used as a backdrop for the television show CSI Miami, but because it captures such a cool and relaxing vibe. 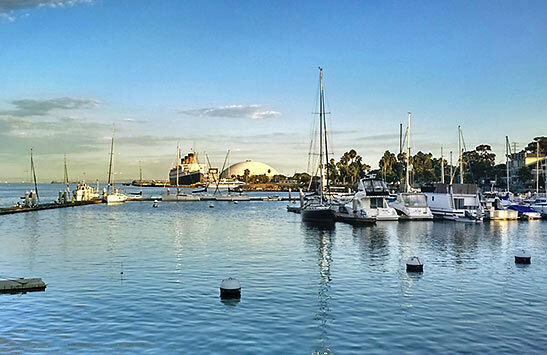 I escaped to Hotel Maya last week and coupled my overnight stay with an exciting and delicious dinner aboard the historic Queen Mary. The result was an memorable and easy getaway. 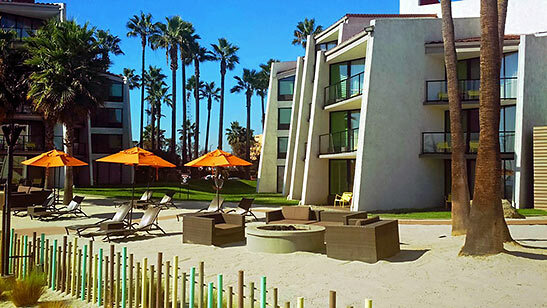 Situated near the giant bow of the Queen Mary, and squeezed between a beautiful bay full of colorful boats and hundreds swaying palm trees, Maya is an enchanting fusion of Latin American and Southern Californian design, with a modern flare inspired by the colors of land and sea. 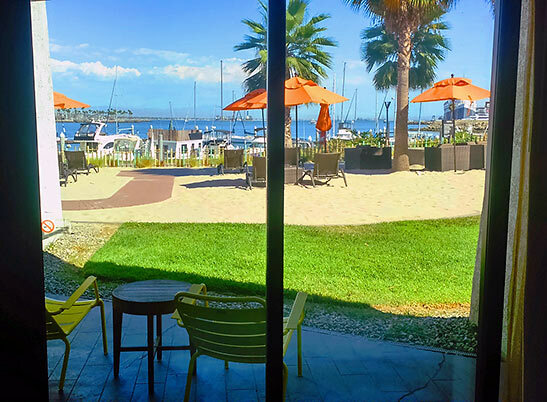 The DoubleTree hotel by Hilton sits on 11 waterfront acres across the bay from Downtown Long Beach and its iconic skyline. The place resembles a Latin American resort, with sloping, pyramid-like lines, bold colors, lush gardens and inviting public spaces. It has everything one might expect from a boutique hotel, including what I call the three Cs: charm, chic and chef. The latter refers to Fuego, the hotels award-winning, eclectic Latin waterfront restaurant, which specializes in the coastal cuisines of Mexico, Latin America and South America. My room at Maya came with two queen beds and a large patio overlooking the gorgeous bay, 35 steps away. I know it is 35 steps because I opened the glass patio door and counted the steps myself, walking across the grass and over the hotel's white sand beach to get to the water's edge. The room also boasts the cloudlike comfort of the DoubleTree Sweet Dreams beds, richly appointed bathrooms, with plush bathrobes, a 37" TV an efficient workstation with ergonomic chair, and wireless high-speed Internet. Beyond the room I found many things to enhance my stay. I swam in the pool and relaxed beneath a canopy, while watching yachts bob just out of reach. I worked out in the state-of-the-art fitness center, examined the hidden Hookah Lounge, and took the hotel's shuttle to the Queen Mary. 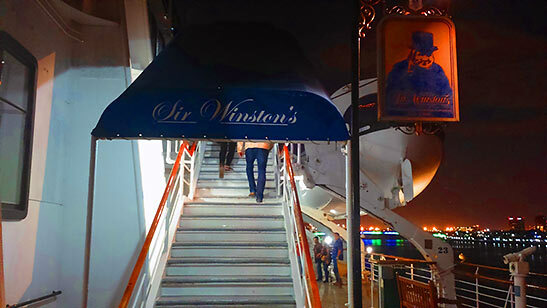 At the Queen Mary I joined some friends for dinner at Sir Winston's Restaurant & Lounge, the legendary vessel's signature five-star restaurant. Named after one of the ship's most important passengers, Sir Winston Churchill, the restaurant boasts incredible seaside views and a mystic and historic elegance that must be experienced to truly understand. My meal at Sir Winston's began with fine red wine and a lobster bisque with truffle scented tamale roe butter. 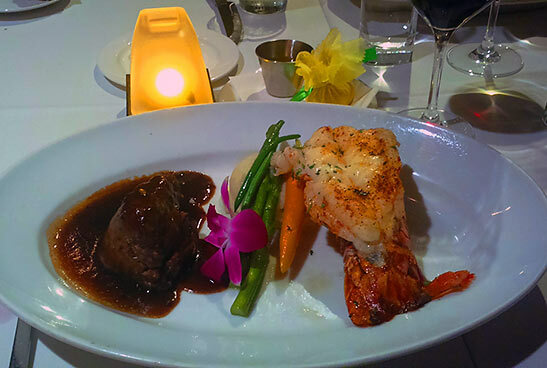 For the main course I devoured an incredible surf and turf plate with succulent lobster and perfectly cooked steak, accompanied by fresh veggies. While dining, I listened to waves splash against the ship's hull and I thought of the all the history that went on inside this magical ocean liner, which this year is celebrating the 80th anniversary of its maiden voyage. After dinner my friend and I took the shuttle back to Hotel Maya and concluded the night with a drink at Fuego Restaurant. While sipping modern and potent Mojitos, we watched the city lights bounce off the bay and reflect off the bow of the majestic Queen Mary.